11 April – 2 May. You can grab your tickets here. John jack Simpson Kirkpatrick is an intriguing fellow. Posthumously used rather shamelessly as a propaganda story, the real human story, the man behind the myth is, as to be expected, much more interesting than all the legends and rumours put together. We no longer need our war veterans to be heroes. We don’t go as far as to call them victims, but war is serious matter that these days seems puffed up and somewhat tarnished by the billowy excesses of manly rhetoric. We now understand how deeply many war veterans suffered, how much they lost, how hard it was for them to assimilate once the faceless men decided the war was over and they could go home. We no longer imagine our men to be Spartan heroes, storming off to a war that saved them from domesticity, rather we see them as human beings, trying to be proud in circumstances that made no sense when put to rational tests. These were men threatened with death if they left, who would be social outcasts if they could nimbly avoid prosecution. They remained on the battlefield, or engaged with the overflow of deaths past what could possibly be humanly endured, and they embraced loyalty when there were no other intellectual satisfactions to be had. It is this John Simpson Kirkpatrick, not the mythological barer of three hundred men through no mans land, but the larrikin who loved Australia, loved his animals and loved his family that we know to feel affection for in our current day. War has been demystified and we no longer need a Victoria Cross to tell us, that what these men went through was a unique kind of hell that can never be properly understood by those who weren’t there. Simpson and his donkey became the stuff of legend when lies were told about his remarkable achievements, but ironically he is more popular, more identifiable, once revealed to be a pretty ordinary bloke, stuck in an extraordinary moment, performing mini miracles no greater and no less than the performance of other ordinary blokes around him. In true Australian style he’s as loved for not being who they originally told us he was, and rather than a propaganda puff-piece hero of the valorous dead, he’s become a beautiful symbol of the countless lost Everyman that meant everything to those who loved them and those of us who promise to remember them. It is this Simpson we are given in the current Genesian production, and this Simpson we honour when we trot along to hear his remarkable story. This production of Simpson, J. 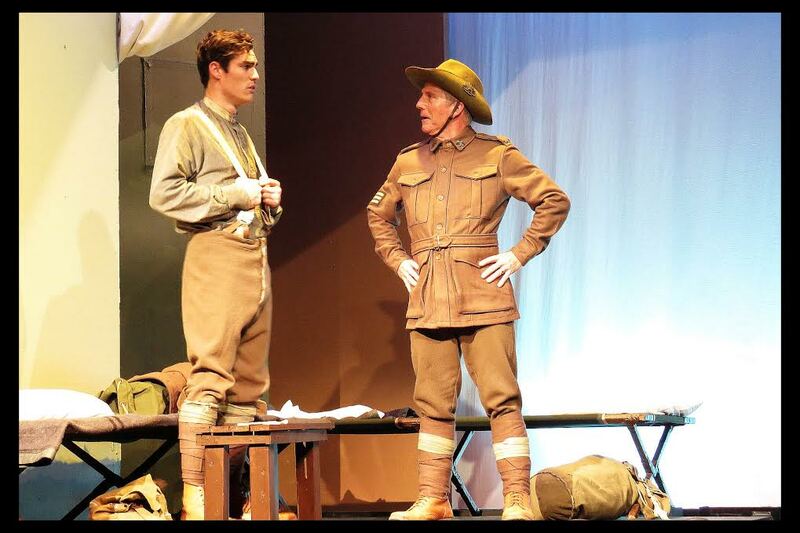 202, perfectly timed for the ANZAC centenary, is a charming way to reconnect with the spirit of what Anzac Day is all about. Writer Richard Beynon creates a detailed examination of the life of private Simpson that includes his fascination for animals, a very funny early brush with donkey farming and a close and loving relationship with his mother and sister. It chronicles his life from early days as a school truant through to his travels to Australia and his attempts to avoid being killed in the war. Mark Nagle has assembled a strong cast, starting with Ryan Bown as John Simpson Kirkpatrick, whose sometimes unclear north England accent is delightfully posited with his happy-go-lucky cheerfulness that perfectly suits Beynon’s portrait. Speaking of accents, all are beautifully constructed from coaching by Mark Anderson who calls forth the Northumberland attitude as well as dialect, so that the audience feels genuinely transported. Above all, Bown embodies the joyful spirit of a young man just happy to be alive and appreciative of all the life around him and this solidifies his performance as a most convincing Simpon. The women in Simpson’s life, his mother Sarah portrayed by Julia Kennedy Scott and his sister Annie performed by Penelope Berkemeier become, under Mark Nagles direction, the key forces for our connection with the humanity of Simpson. We first meet him as a naughty school boy, being scolded by his mother, but we remain with the family for a good portion of the show, getting into the nuances and the delicate underpinnings beneath the bustle of daily life that love and careful care provide. This emphasis on the Simpson Kirkpatrick family give us access to the heart of John Simpson and enhance a character development that makes the final events of the Simpson story all the more tragic. Both Kennedy Scott and Berkemeier are strong in their large roles, occupying one half of a uniquely split stage that brings events happening on the other side of the world into the heart of the written letters that might be connecting them. The staging beautifully enhances the plays interesting structure so that each side can represent a concurrent event, a memory or even a wish for something in the future. For the most part, this works, and carries the emphasis of familial ties that the two women embody in the show. 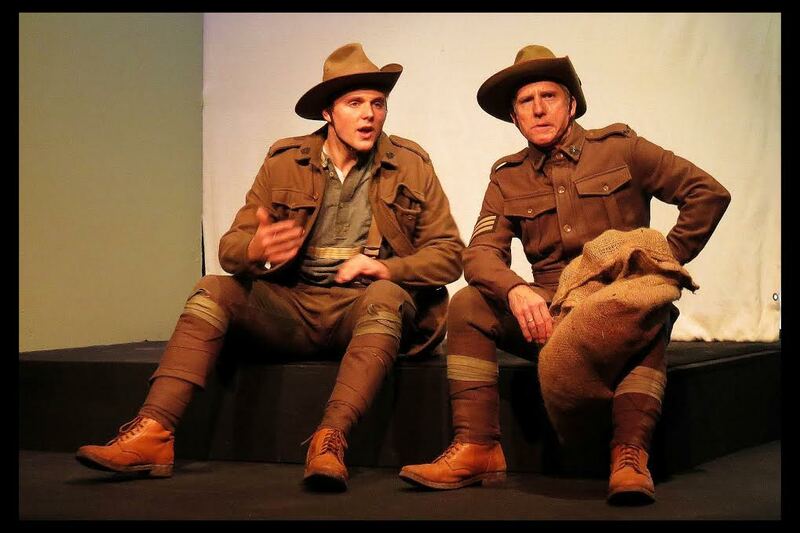 Other supporting roles such as the delightful Charles Cosgrove as fellow Anzac Robbie Robertson, Thomas Marwick as Mr Woodvine and Rob White as Sergent Hookway are all strong, wisely keeping their roles as signifiers rather than delving too deep into character development. This with the exception of Cosgrove who, as Simpsons friend is often a comic foil for Simpson’s sometimes nutty ideas. The inclusion of Leah White and Maedeh Timajchi feels a little tokenistic, as the women are on stage for too short a time to properly represent the issues of the Turks at the time and the backhanded compliment of inclusion comes off as strained. A special shout out to Susan Carveth who does a great job with very simple costuming that does a lot with very little. There are always as many reasons to attend theatre as there are styles of theatre to see. 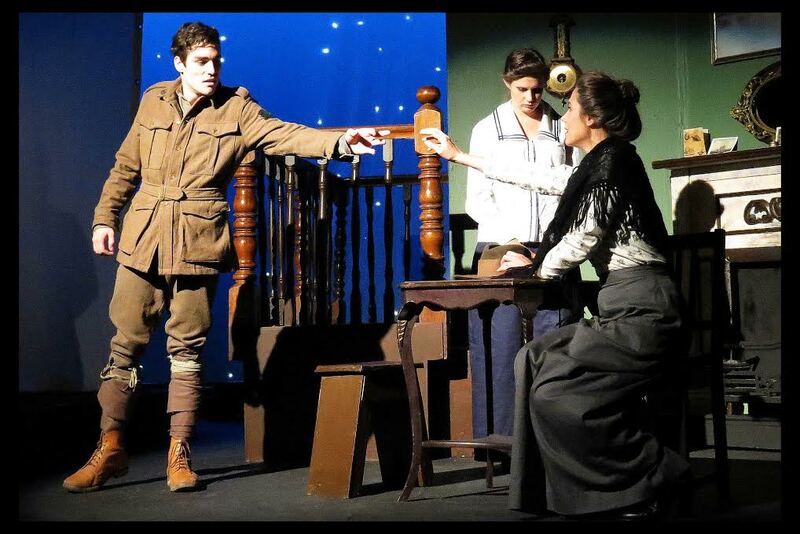 Simpson, J.202 is a show very much designed to bring us to the heart of the Anzac experience and to connect us with the men and women we will come together to remember on April 25, using theatre to connect real people in a real room to real events that happened a long time ago. 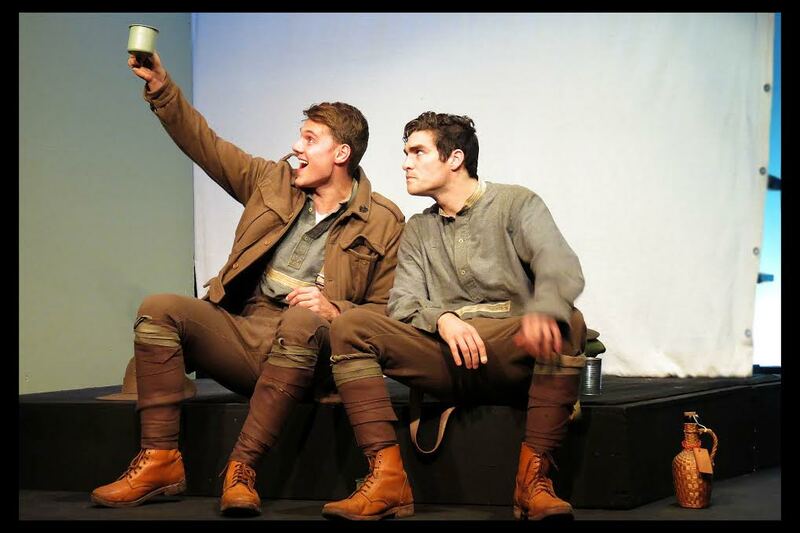 Attending this production is a fruitful segue into the spirit of that remembrance and a lovely way to bring a tragic past into a hopeful present.